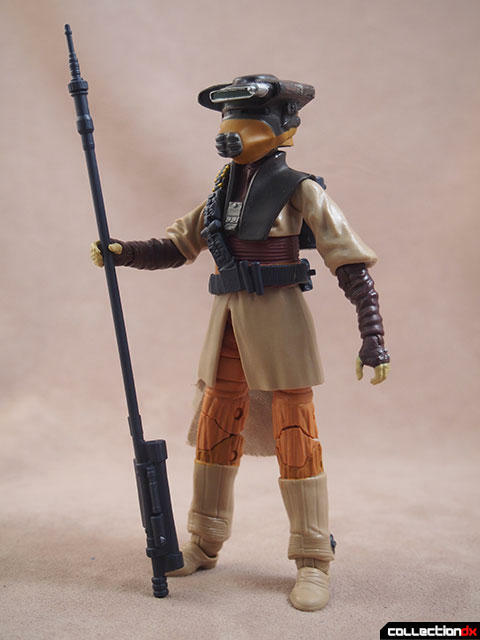 As a kid, Leia as Boushh was one of my favorite figures. 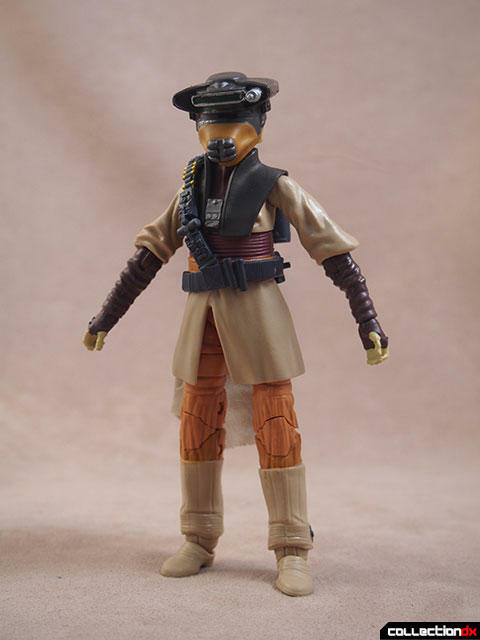 With the helmet on, Boushh was one of the best visual designs in Return of the Jedi. 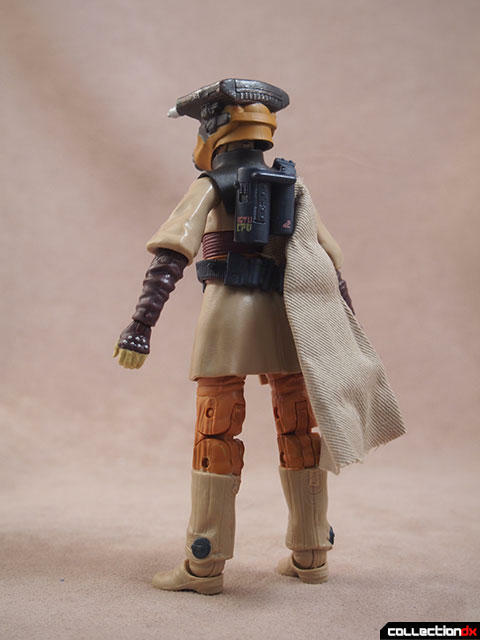 I was into that bounty hunter more than I was Boba Fett. As such, i've since bought many versions of the character over the years. This version is one of the best. 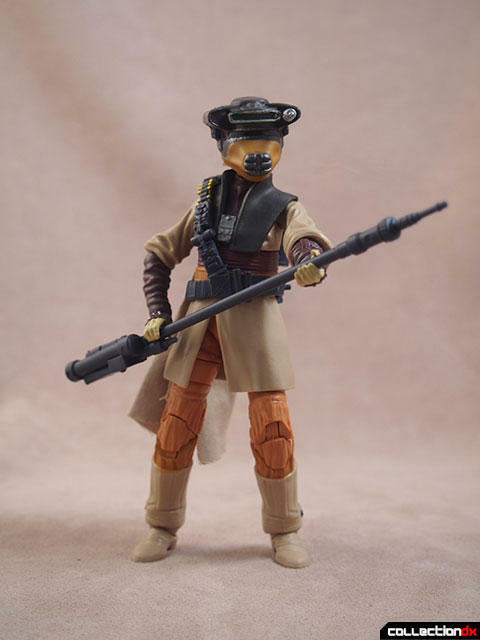 As part of the last wave of Black Series releases before the Force Awakens wave, Leia as Boushh was rather hard to find at retail. I was fortunate enough to find one at Walgreens of all places. 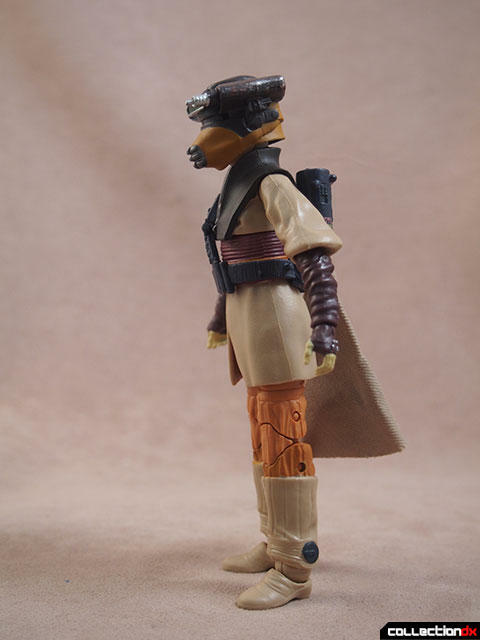 The figure stands 6" tall and is impeccably detailed. I haven't compared it for screen-accuracy, but it looks great. 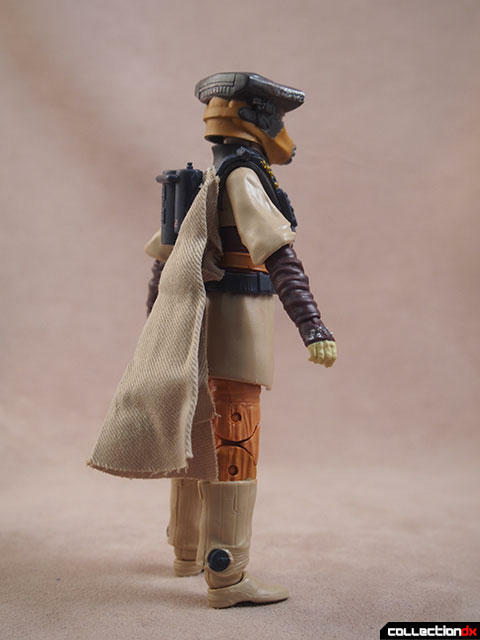 There's a soft-goods cape draped over the shoulder, and a backpack canister that needs to be attached out of the package. 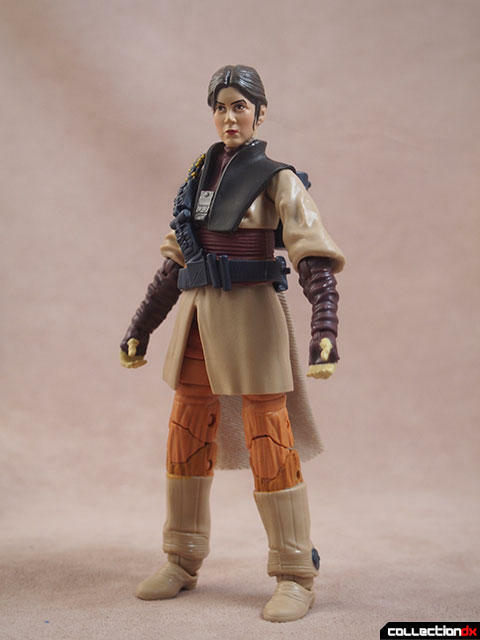 Leia includes her force pike weapon. I've always been intrigued by this weapon. 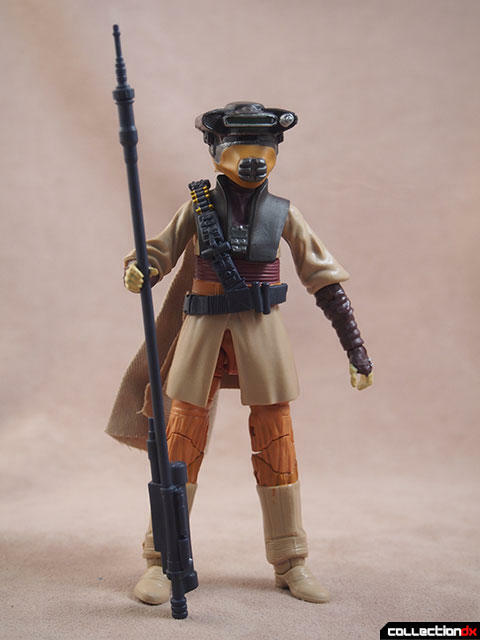 In the vintage Kenner version it had a handle, but the screen accurate version does not. We never actually see it in action, so I have no idea how it's supposed to be used. 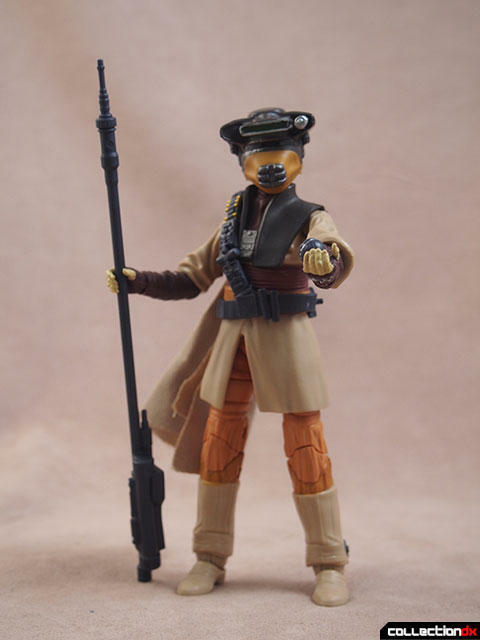 The other signature weapon included with the figure is the Thermal Detonator that she threatens Jabba with. 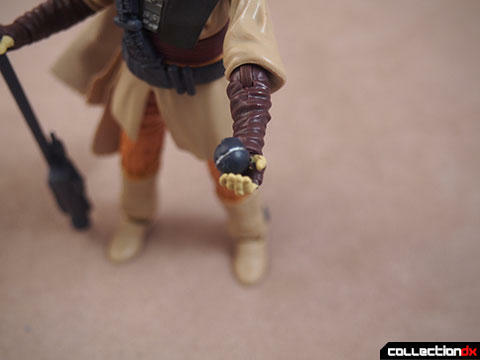 This weapon is very small, and despite having a hole in it, there is no peg in the hand to secure it. There is however a peg on the belt, where I assume it is stored. 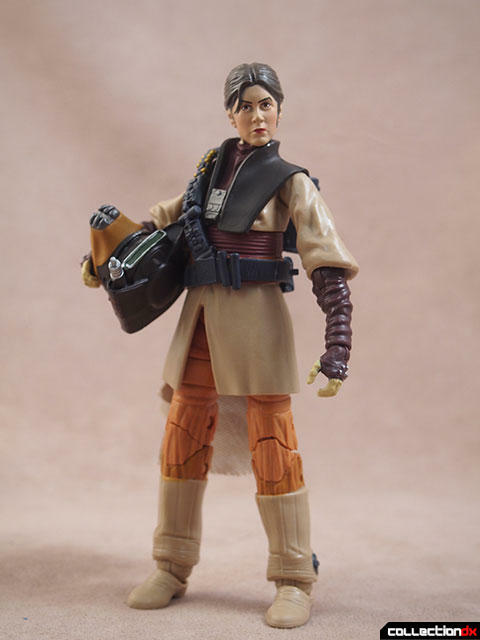 Once the helmet is off, there's a very nice sculpt for Leia's face. No complaints at all here - Kudos to the Hasbro team for finally getting one right. Overall, it's a great figure that I'm glad to have in my collection.